For me, ISTE 2017 was an amazing whirlwind of experiences, learning, and connecting. Everywhere you turned, there was something that jumped out at you and grabbed your attention. It can accurately be described as the Disneyland for the world’s EdTech leaders. I’m always amazed by the dedication of those who have given up their precious time to travel so far and be open to all that the integration of digital tools can offer their students, staff, and community. They are today's educational superheroes! 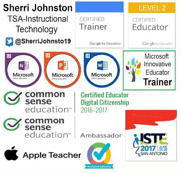 I took the advice of one of my colleagues this year when preparing to attend ISTE: I chose an area of focus and stuck to it! This year, my ISTE Student Standard focus was on computational thinking. 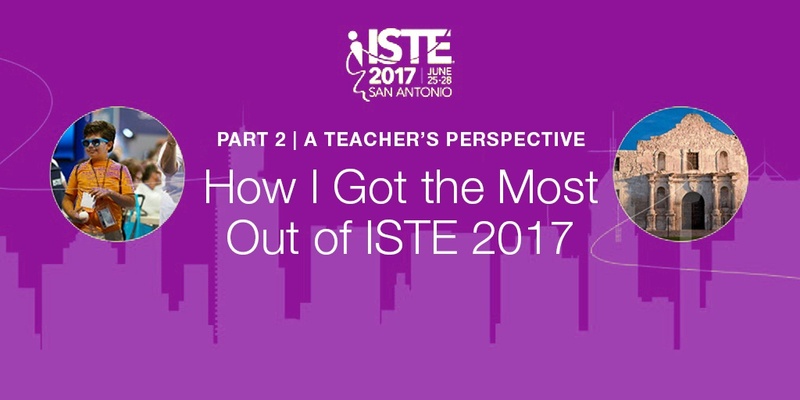 My first year at ISTE (2016) was overwhelming—even though I learned a great deal, I could have done a better job of focusing my attention and energy. This year, choosing a standard of focus made my learning path crystal clear and was a much better use of my time. During my first afternoon at ISTE, I attended the Professional Learning Network mixer. Meeting others and then joining a PLN (Professional/Personal Learning Network) gives you extra support to dig deeper into your interests and needs. This is a must and is easy to do. You can join an ISTE PLN by visiting the ISTE website and diving right in to the area or areas you are most interested in. It is unbelievable how much you will learn and how much support there is for those willing to give it a go. Upon entering the exhibit hall, I had marked booths I wanted to visit. I went to each one with my questions, which were all answered by the experts in that product, service, or organization. While I could have spent weeks researching to find the information I needed, I checked each one off my list within half a day. There was also a makerspace set up in the exhibit hall that was out of this world, offering STEM lesson plans that were free and easily accessible for both the teacher and learner. It was so fantastic that I spent several hours there! Makerspaces and the associated activities were a big standout for me. I also visited the playground for computational thinking and robotics. It was more than expected, and that whole floor of the convention center was abuzz with excitement. Just being able to experience everything that was offered gives the ISTE attendee the opportunity to truly understand what is available to meet each student’s needs when teaching computer science/critical thinking objectives. This is a huge area of focus in education today, and it was great to see how the issues are being addressed and the options for meeting those needs. The ISTE sessions were so informative. Each one offered a great way to learn about all of the new EdTech tools; revisit those tools that have been around, but perhaps forgotten, and are still relevant and pedagogically sound; and interesting ways to use those tools together to enrich your content delivery, student learning, community outreach, staff collaboration, and much more. I left this year’s ISTE with my brain swimming with new ideas, inspiration, and tools to push the students that I teach, the teachers I coach, and myself to go even further than imagined. ISTE 2018—I’m ready for you. See you in Chicago!